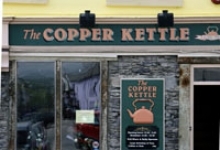 "One of the best chowders in Ireland"
"Simply served, very tasty Irish seafood"
"Chinese surprise on the Beara"
"Excellent service, staff & food"
Great craic, music and food. A world famous pub. 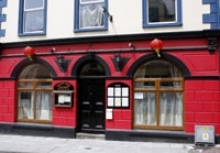 Located in the centre of town, busy, great atmosphere with bar lunches. Great pub in centre of town with music throughout the season. 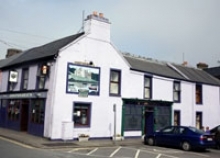 What TripAdvisor says about eating out in Castletownbere . . .
"CTB is a small town with the most spectacular scenery in all of Ireland and great restaurants to boot! Ocean Wild at the top of the town has a tantalizing upscale menu and you will enjoy a wonderful dining experience there. Murphys Restaurant has been family run for over 60 years, a place that the whole family can relax and enjoy a great meal. 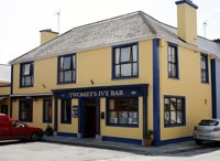 The Pubs in town such as Breens, O'Donoghues and the world famous Mc Carthys make fresh crab sandwiches and the like to die for or chose from the rest of the menu and enjoy a great meal that won't break the bank like so many overpriced counterparts in other towns. And yes the crab was caught locally and possibly that morning! The Old Cottage is a unique and picturesque dining experience with lovely food. And if you feel like a little drive you can eat in O' Neills a jewel in the crown that is Allihies... fabulous food, you can eat in the pub or enjoy a more formal dining experience upstairs in Pluais Umha Restaurant... their sticky toffee pudding is the ultimate indulgence!"